The Old State House is the oldest surviving public building in Boston, and is currently serving as a history museum. Built in the early 1700s, the building functioned as a town house, with the Merchant's Exchange on the first floor, and legislative offices on the second floor. Many early dignitaries and political activists gathered at this venue, and in 1770, the Boston Massacre occured on the streets in front of the building. The Old State House was also the site where the Sons of Liberty proclaimed the Declaration of Independence to the public in 1776. 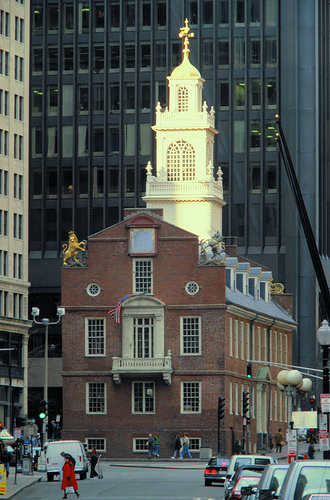 The Old State House is a pivotal part of history, and is now a stop on the Boston Freedom Trail. 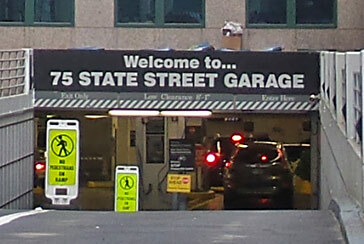 Parking.com offers convenient parking near the Old State House. Click on the location name for parking details.